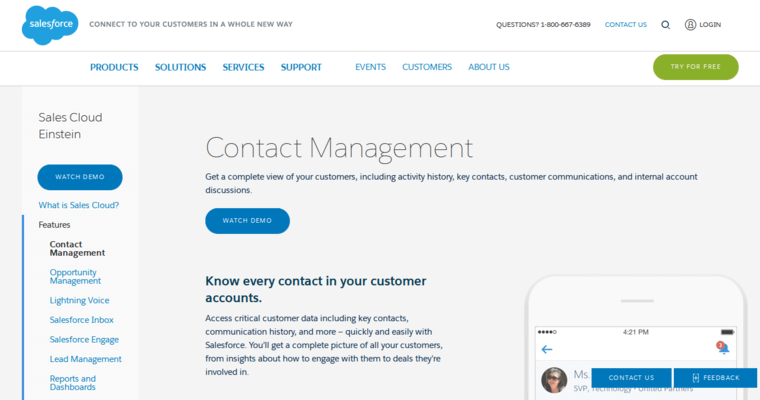 Salesforce is a company that provides CRM solutions to their customer base. This company creates a wide array of CRM programs that help various departments within a business. 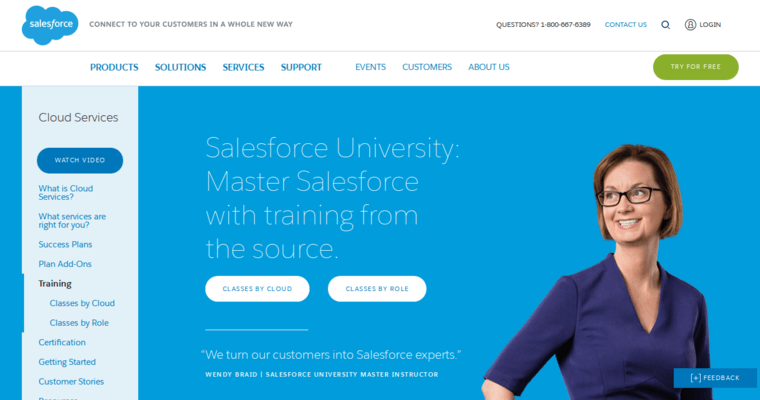 Salesforce has a special set of sales software programs known as Sales Cloud. While using Sales Cloud, companies are able to ramp up productivity while easily keeping track of various leads. 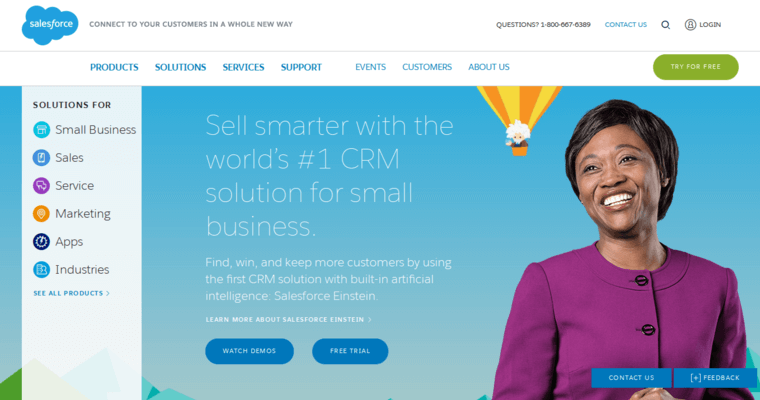 Salesforce has also created Commerce Cloud, a set of programs designed to help ecommerce companies manage customer relationships. Products made by Salesforce can easily integrate with other programs your company currently uses. In addition, Salesforce also provides real-time analytics to help ensure your company is moving in the right direction. This company helps businesses from a wide range of industries, no matter how small or large they are.